What does your Facebook home page look like? Your Home Page. Log into Facebook, and it’s the first thing you see. It’s your Home Page. Here’s what’s in it. NOTE: Facebook constantly A/B tests. Features move around, change, are renamed and resized, or disappear all the time. These are rolled out in stages; your neighbor may have a different-looking Home Page from yours. And this is 100% normal. This is a list of the groups you have joined. These are pages you are following. So pretty obviously, this is a way to access your entire list of friends. You can create groups for any reason. And this includes to support a beloved entertainment figure, promote your business or just complain about people wearing Crocs. I’ll get into the specifics later in this series. These will rotate as you access more games, depending upon recency. This is the actual News Feed itself (also access in Column One). And you can comment on others’ statuses (statii?) or posted links. First of all, you are served everyone’s activities. 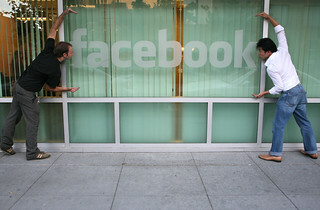 Facebook can be a tsunami of data. However, a lot is aggregated; you are usually shown that six people joined a group, rather than separate messages on all half-dozen. A way to see the calendar. So if you’ve got upcoming events and you haven’t RSVP’d, they’ll show up here, but you can jettison them by clicking the x on the right side. Note that you’ll be invited to all sorts of stuff, including sponsored activities and openings by commercial ventures. And RSVP’ing is not strictly necessary. However, as an event organizer, I have to say it’s appreciated so as to at least get a handle on headcount (and know who not to expect). You need not RSVP for commercial store openings or whatnot. Whether they’ve made the year apparent is their own business. But if they’ve got the month and day up on Facebook, birthdays will show up here. And of course you’re under no obligation to wish people a Happy Birthday, but it is kind of nice. So this is based upon some sort of an algorithm whereby Facebook looks at things like your current friends list, their friends, your location and possibly also your school(s) and workplace(s). However, I don’t believe the latter are included at this time. If you have any mutual friends, Facebook lists them as well. Facebook does not always get this right, or it gets it wrong in interesting ways, e. g. Facebook says I “may know” the spouse of someone I attended High School with. Well, unless I went to High School with the spouse (over 30 years ago), then there isn’t much of a likelihood there. Well, they’re as targeted as Facebook can make them. This is apparently based on your click activity, your likes, your friends’ likes and whenever you click on an ad to get rid of it. Again, sometimes Facebook can get this wrong in rather spectacular ways; for example, when I wrote this post originally, it showed me an ad for Toyota. And I have neither owned nor contemplated owning one, ever. It should go without saying that you should never click on links from chatters you don’t know well. And you’re under no obligation whatsoever to answer anyone’s instigated chat. A big part of the Facebook experience is not only playing games but also sharing them with others, or sharing status or links. The way you see and can participate in this sharing is via your Home Page. It is, essentially, a bulletin board between you and your pals.